As a student of college or university if it becomes tough to write or manage the assignments that professor’s assign to complete in that situation buying assignment help becomes the first choice of every student. Most of the students often fail to submit the assignment before submission deadlines and that result scoring low grades. Being a perfect student is not that easy. For being a perfect student you may feel pressure to perform high academic standard while doing every assignment. Moreover, most of the students in college and university level have a job, may have to study for semester exams, and may have to read extra for general knowledge. Even sometimes most of the students go out for interns to gather work experience. After performing all of these activities if he or she gets extra pressure of completing assignment it may feel like an uphill slog and feel mental pressure which may hamper both mental and physical health. 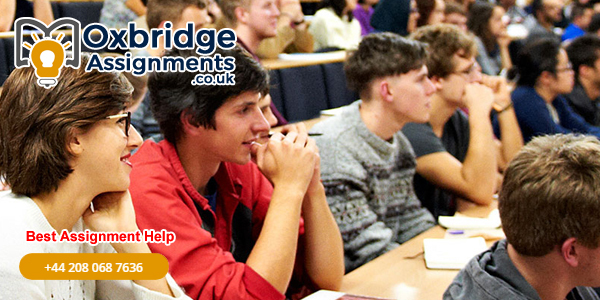 In this case he or she may feel importance of assignment help from someone. You no need to worry because we want to help you to write an assignment that fits all of the requirements that your professor gave. We assure you that you will get high score or grade after submitting your assignment to your professor. A question may come in your mind: why professors give assignments? Actually assessment is considered as key component of learning about the subject as it helps students to learn about the subject. When a student will able to see usually what is he or she doing in a class, he or she will be able to determine whether he or she is understanding the course material or not. Writing assessment may also help to motivate the students to know more about the subject. If a student can find that he or she is not doing better, he or she may start to work harder. 1st of all you have to plan because planning how you will write your assignment will help you to stay focused. Analyze how much your assignment is worth to get high percentage of the final mark. This trick may help you decide how much time you should spend on writing. Then write an outline, because writing an outline will give you a full structure to follow and write your assignment. After finding the information you have gather the information in a pad and start writing your assignment. And at last edit and proofread.